A Saudi cleric claims the best way for his country to prevent sexual molestation of young girls is to require them to wear burkas. 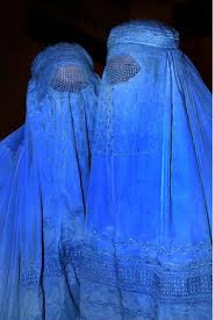 How will burqa prevent girls from being raped by their own fathers or brothers? Every woman in Saudi Arabia is covered in burqa and are completely segregated. There have been wide spread cases where men have dug up the graves of women and raped the dead women. They can hide them in burqa or bury them, these monsters will not leave them alone. Almost always foreigners are hanged publicly for these crimes but Saudis pay blood money and go free. What a shame!! !